Jaded Blossom: We go together like Milk and Cookies! Hi everyone! It is Crystal here from Crystal's Creative Corner. 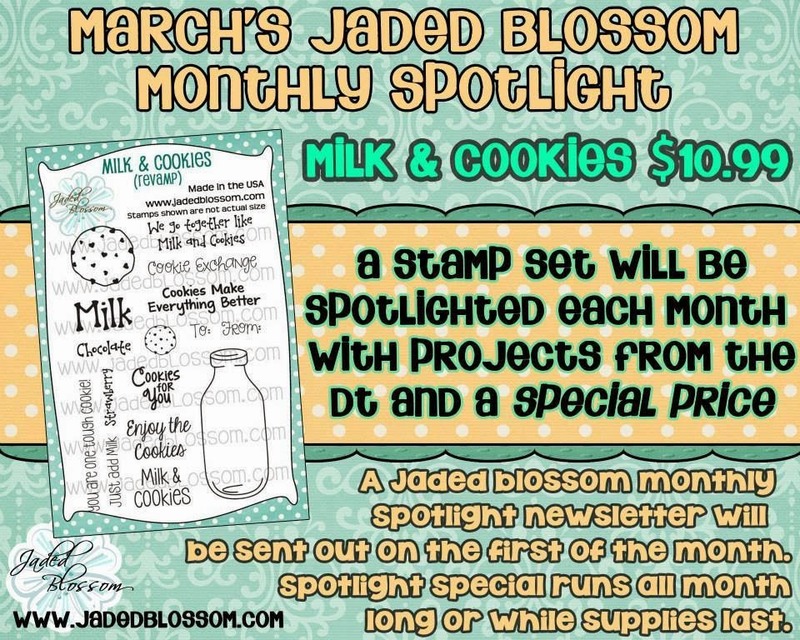 Take a look at Jaded Blossom's Spotlight Stamp of the month! 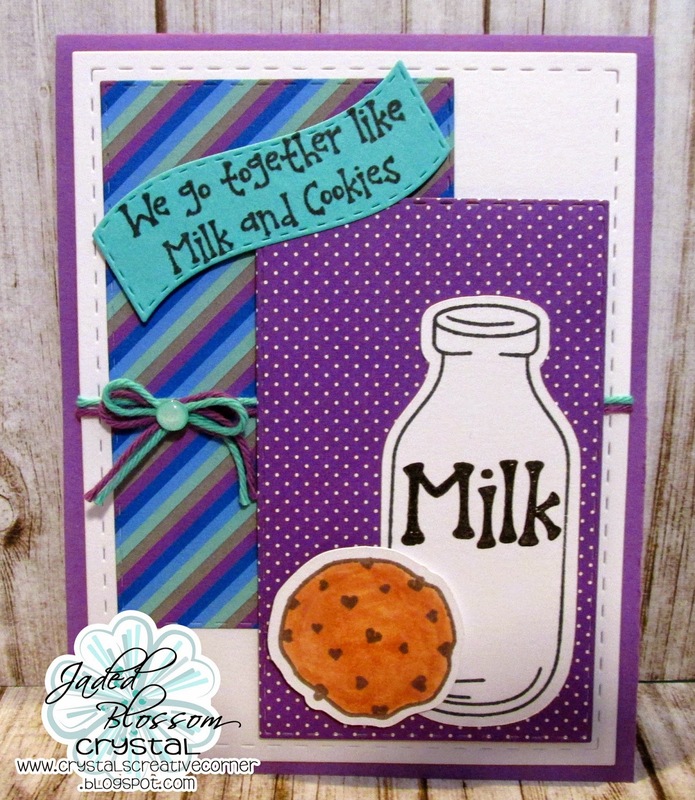 I also used the SVG outlines for the milk bottle and the cookie!